Chris Stevens studied Fine Art at the University of Reading. 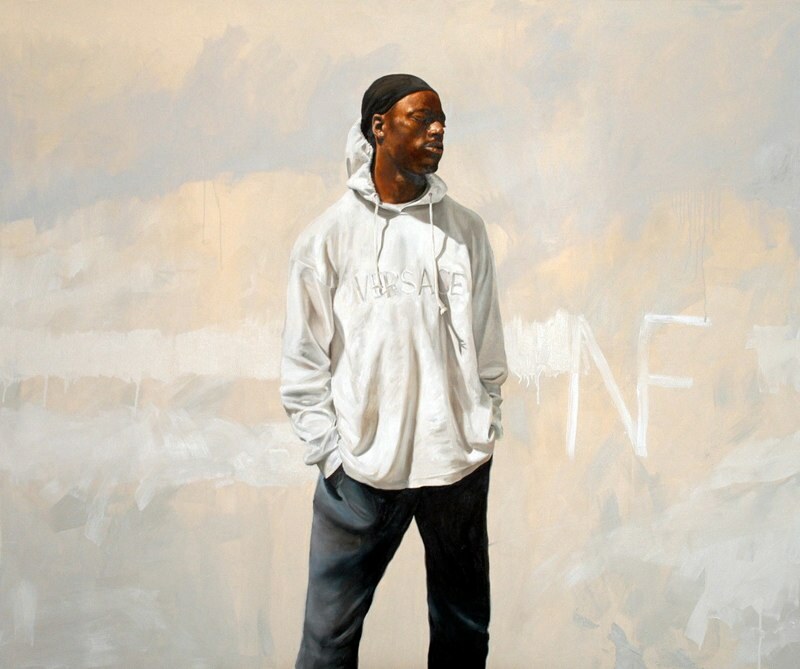 He is a figurative painter who has exhibited regularly since graduating in 1978. He has been a prizewinner in the BP Portrait Award, 50 over 50 and more recently in the Painted Faces exhibition organised by the Saatchi Gallery and Windsor & Newton. 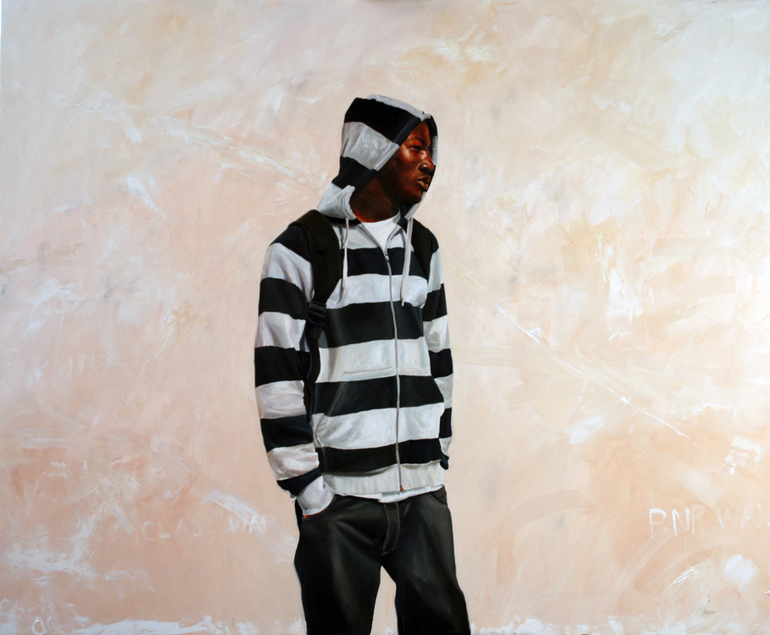 Chris is a painter with the firm belief that art is a marriage between concept and technical accomplishment. The process of making a painting is as much a part of the work as the finished piece. Truly captured the contemplation in his face. Powerful! I like this piece very much. The use of color along with the contrast of the grayscale really emphasize the figure. Strong, beautiful image. Looks like a more restrained Kehinde Wiley. Wonderful and fresh! I want to see more! great use of color and texture. nice chiaroscuro on the face as well. I love this painting!! The texture in the water is amazing! I also like the expression on the man's face.